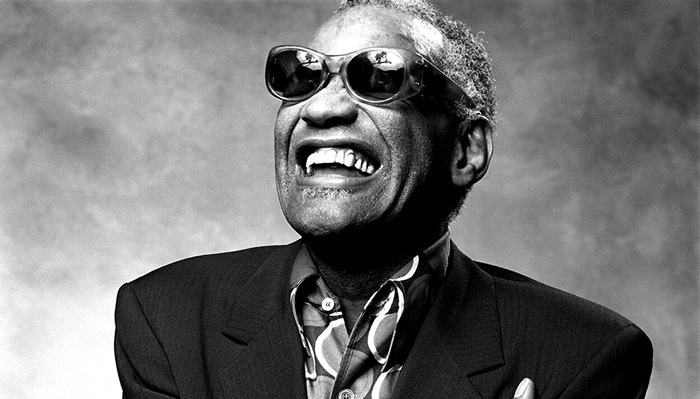 Ray Charles was an American singer-songwriter, musician, composer and arranger. One of the most important musicians of the 20th century, he played an instrument role in the development of soul music by combining rhythm and blues, gospel, and blues influences. “The Godfather of Soul” possessed perhaps the most unique voice in American music that influenced almost every black singer that came later. Born “Ray Charles Robinson” in Albany, Georgia Albany, Georgia, his father was a mechanic and repairman while his mother was a sharecropper. He lost eyesight at age seven due to an undiagnosed case of glaucoma. Charles’ blindness may have significantly contributed to his extraordinary fondness for music. Ray Charles grew up listening to and playing diverse genres of music, including gospel, classical, blues, jazz, country and pop. He started his music career in the late 1940s. Heavily inspired by the style of Nat Cole – probably the most prominent black singer and pianist at the time – Charles made his breakthrough when Atlantic Records purchased his contract from Swingtime in 1952. He recorded various rhythm-and-blues classics within the next two years, and these early hits established him as one of the genre’s most distinguished singers. His 1955 single “I Got a Woman” became a smashing hit and Charles followed it with a string of number 1 R&B hits, including “A Fool for You”, “Drown in My Own Tears” and “What’d I Say”. It was the phase where he became a major figure in music industry and a top attraction at various leading jazz festivals and R&B events. Charles played a vital role in incorporating elements of Latin music into rhythm-and-blues and his unique fusion of blues and gospel still remains one of his most remarkable innovations. It was also probably what gave birth to soul music. His excursions into jazz, pop and country music also brought him much critical acclaim and commercial success. Charles’ ecstatic gospel singing style influenced several generations of singers from every genre of vocal music, including Elvis Presley, Aretha Franklin, Jerry Lee Lewis, Stevie Wonder, Van Morrison, Billy Joel and Rod Stewart. He died of acute liver disease at the age of 73. His funeral was attended by thousands of grief-stricken fans and rich tributes were paid to the greatness of his musical genius. Ray Charles earned several awards and accolades in his lifetime. He was inducted into the Georgia State Music Hall of Fame in 1979, the Rock & Roll Hall of Fame in 1986, and the Rhythm & Blues Foundation in 1991. Among the other notable awards were the Kennedy Center Honors (1986), the Grammy Lifetime Achievement Award (1987), the George and Ira Gershwin Award (1991), the National Medal of Arts (1993), and the Polar Music Prize (1998). Ray Charles was noted for a turbulent personal life and his struggles with drug addictions and legal issues. He was married twice, and had twelve children with ten different women.